I have been asked several times whether I think the movie “American Sniper” would influence the jury’s view of Eddie Ray Routh, the man accused of killing Chris Kyle. For those unaware, Chris Kyle was the former Navy SEAL whose autobiography was recently turned into the hit movie “American Sniper” starring Bradley Cooper. Routh is being charged with murdering Kyle, as well as Chad Littlefield, at a shooting range. Jury selection in Routh’s trial began yesterday in Texas. Even though the movie American Sniper does not specifically depict any of Routh’s alleged actions in the film or mention him by name, I think any juror who has seen the movie could absolutely be influenced by it. With the huge box office turnout of American Sniper, I would think it would be hard to find a prospective juror who had not seen it, heard about it, or even read the book, and formed some feelings or opinions about Chris Kyle and the person who allegedly murdered him. Understandably, Routh’s defense team has expressed concern that Routh will not be able to have a fair trial in light of the wide-spread popularity of Kyle’s book and subsequent movie. However, in order to find a fair and impartial jury, you can be certain that during the jury selection process, the judge and attorneys for both sides will ask all potential jurors what they know about the case. For those jurors who have seen the movie or read the book, they will then be asked whether, knowing all that they know, they will be able to be fair and impartial during the trial. If the juror agrees that he or she can be fair and impartial, the fact that a potential juror has seen or heard about the movie will not necessarily be enough to have them stricken from the panel. An important piece of Death Penalty legislation is being considered in Florida: House Bill 139. This proposed legislation would require a unanimous jury vote to recommend a death sentence. Currently, a jury can recommend the death penalty in Florida by a vote of 7-5 (it is important to note that the Judge is the ultimate decision-maker who can choose to override the jury’s recommendation). The proposal would also require the judge to instruct jury that, in order for jury to recommend to court that death penalty be imposed, the jury must find that sufficient aggravating circumstances exist which outweigh any mitigating circumstances; that each aggravating circumstance must be proven beyond reasonable doubt by unanimous vote; and that the judge shall provide a special verdict form for each aggravating circumstance. It would seem that this legislation is a long time coming. Of the 32 States that impose death penalty sentences, Florida is only 1 of 2 states in the union that does not require a unanimous decision (Alabama requires a 10-2 supermajority). Compare that to the fact that a unanimous jury verdict is required to convict a defendant of a misdemeanor offense, which carries with it a max punishment of only up to one year in jail. An interesting contradiction, to say the least. Effective for an offense committed on or after July 1, 2015, an advisory sentence of death may be made only by a unanimous recommendation of the jury. The court shall instruct the jury that, in order for the jury to recommend to the court that the death penalty be imposed, the jury must find that sufficient aggravating circumstances exist which outweigh any mitigating circumstances found to exist. The court shall further instruct the jury that each aggravating circumstance used to support the jury’s recommendation of death must be proven beyond a reasonable doubt and be made by a unanimous vote. The court shall provide a special verdict form for each aggravating circumstance found. Casey Reiter is an associate attorney at Stuart R. Manoff & Associates, P.A. in West Palm Beach, Florida, practicing in the areas of Criminal Defense and Family law. 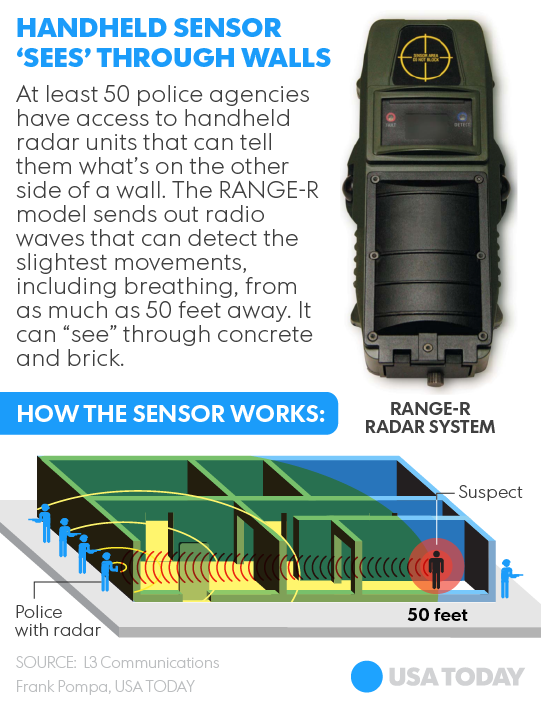 “At least 50 U.S. law enforcement agencies have secretly equipped their officers with radar devices that allow them to effectively peer through the walls of houses to see whether anyone is inside, a practice raising new concerns about the extent of government surveillance. . . . This technology, which is not now new in light of recent reports, poses significant Constitutional issues. Police are not permitted to scan the inside of a home with a thermal camera without a warrant, and drug dog sniffs of the outside of homes have been limited by the Supreme Court. While it would seem that these radars would(or should) fall under the same Constitutional analysis, it appears that the Denver federal appeals court’s decision published last month (referenced above) was the first court decision referencing the radar technology or its Constitutional implications. The full USA Today story can be found HERE. According to data provided by the [Broward] Public Defender’s Office, between December 2013 and September 2014, the Fort Lauderdale PD issued only 45 tickets for unregistered bikes. Yet 42 of the violators were black — 93 percent of the total. Only one ticket was issued east of Federal Highway. This week, the Supreme Court of the United States issued an opinion that basically confirms police officers do not have to know the law. Yes, you read that right. In HEIEN v. NORTH CAROLINA, the driver was pulled over in North Carolina for having a busted tail light. The officer “mistakenly” believed that the law requires two working brake lights. However, in North Carolina, the law does NOT require a driver to have two working brake lights. After the officer pulled the vehicle over (even though there was NO traffic infraction to give the officer the authority to stop the car), he noticed that the driver and passenger seemed “very stiff and nervous” (as if that were bizarre behavior for a person who is being stopped by the police for no reason?). The officer then asked the driver and passenger (Heien) for permission to search the vehicle, which ultimately revealed a sandwich bag filled with cocaine. The US Supreme Court ruled that because the officer’s mistake of law was reasonable, there was “reasonable suspicion” justifying the stop under the Fourth Amendment. In justifying the decision, Chief Justice Roberts cited what he claims to be “precedent” finding that a reasonable mistake of fact, such as an officer who stops a motorist for driving in a high-occupancy lane only to discover two children sleeping in the back seat, can justify a search or seizure and not violate the Fourth Amendment. Roberts then goes on to conclude that a “mistake of law” is as justifiable as a “mistake of fact,” and that there was essentially no violation of anyone’s rights in either scenario. How can that be? And what is next? It seems that this decision is setting terrible precedent that will allow officers to do whatever they want and claim later that they “didn’t know they couldn’t do that.” Arrest first, ask questions later? Forget about the far-reaching effects; let’s talk about the immediate issue: if a traffic cop’s daily job function is to stop drivers for traffic offenses (such as speeding, broken tail lights, running stop signs, etc. ), shouldn’t the traffic cop be required to actually know the laws entailed? Or are we now just handing out patrol cars and badges to everyone and waiting to see what happens? Defendants cannot claim ignorance of the law as a defense to a criminal charge. But apparently, police officers can use it as an excuse to arrest anyone they feel like. It’s an unfortunate day for civilian rights – instead of holding law enforcement to a higher standard of actually knowing the laws they are trying to enforce, the Supreme Court is now putting the burden on civilians.